One of the nation’s favourite TV shows is returning to the little screen this October. Much will stay a mystery until the show begins, but what we do know is there’s a new doctor, new team and her new tardis. 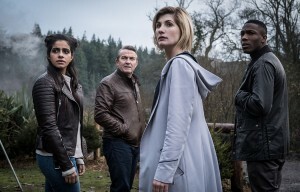 The Doctor is reincarnating as a woman this time round, played by Jodie Whittaker, who you might have seen in British crime drama Broadchurch. It’s also moved to Sunday nights now – put it in your diary! Set to be Amazon’s first weekly series, The Romanoffs is an anthology of carefully plotted stories about people living in contemporary times who believe they are decedents from the Russian royal family. 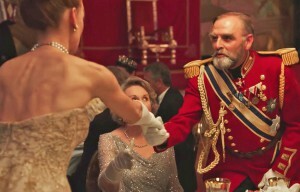 Creator Matthew Weiner (Mad Men) has made this show unique in that each episode features a different character, story and setting across the globe – so you’ll be able to dip in as you please. Do you remember Sabrina the Teenage Witch? This 2018 reboot imagines the origins and tales of this young witch – except with a darker, more thrilling tone. The show is a spin-off from Netflix’s Riverdale, but don’t expect it to be too similar. These chilling adventures follow half-witch, half-mortal Sabrina as she fights to accept her dual nature, proving her life is anything but easy. the spotlight. This film about relationships, dreams and fighting your inner demons is one you won’t want to miss this autumn. Director Damien Chazelle (La La Land) is set to showcase one of the most intense space movies yet with First Man, which tells the tale of the groundbreaking 1969 moon lamding. 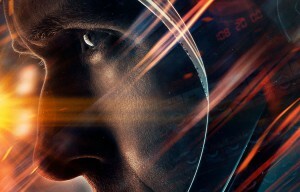 Ryan Gosling takes the lead role Neil Armstrong, as the story explores the incredible story of NASA’s mission to land on the moon through the years of 1961- 1969 – one of the most dangerous missions known to man. Starring Aubrey Plaza and serial cult comedy folks Craig Robinson and Matt Berry, An Evening with Beverly Luff Linn is set in the 70s where waitress LuLu (Plaza) runs away with stranger Colin and a load of her hubby’s stolen cash. 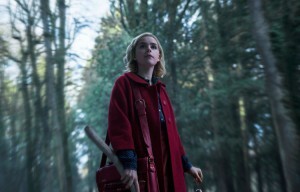 The pair stay at the Morehouse Hotel, which is headlining the man of the film’s namesake, although it becomes clear that LuLu and Beverly Luff Linn have an unresolved history. 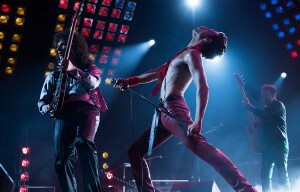 You could make a movie based on the making of upcoming Queen biopic, Bohemian Rhapsody. 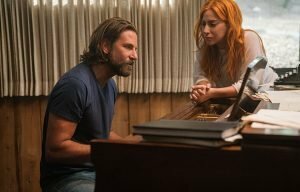 One director’s firing brings to question the future of a film, as the cast scramble with their schedules and lives. For now though, we’ll have to make do with the real thing, with Remi Malik taking the coveted role of Freddie Mercury. After all, as Queen would say themselves: the show must go on.